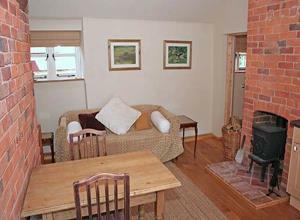 Shepherds Rest Cottage Self-cateringShepherd's Rest is a converted cosy one bedroomed cottage. It adjoins the main farmhouse, dating back to 1650, set on a working sheep farm in the conservation village of Burton Overy in the south Leicestershire countryside. One double bedroom with 5 foot brass bed. Kitchenette/living room and bathroom. Sofa bed in living area. A cot can be put in the bedroom if required. Could not fault it - just charming!